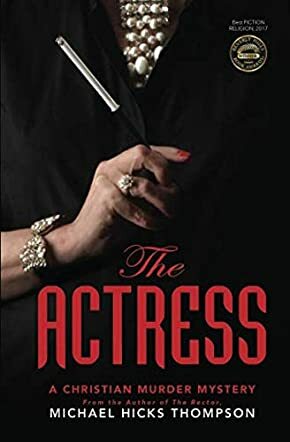 The Actress (A Christian Murder Mystery) by Michael Hicks Thompson is a murder mystery Christian novel that would appeal most to a diverse audience of young adults and adults who enjoy intrigue and detective stories. In the 1960s, a widow named Martha McRae found herself living in a small town located in Mississippi when a dead man is discovered with a note in his hand. Famous actress Tallulah Ivey traveled to Solo in order to film a movie; she never expected there to be a dead man outside of her bedroom window. Is Martha McRae up to the task of solving the murder or will it forever remain a mystery? The Actress (A Christian Murder Mystery) by Michael Hicks Thompson has a captivating cover that hinted at a story with a woman as a main character. I felt that the cover mirrored the mystery elements of the plot by showing a female form, but hiding the identity of the woman. The book itself was an extremely well-written mystery that allowed me to place myself in the detective’s seat as I attempted to figure out the what, why, and how before Martha McRae. Martha McRae was easily my favorite character with her ability to look beyond the obvious to solve the mystery; it was Martha McRae that truly made the book stand out amongst all the other mystery books that I have read as she was simply a wonderful character. I loved the fact that the author kept the mystery realistic and included elements of Christianity while still staying in the realm of detective fiction.